For those who love the Baby in Angel Wings items, here is another version especially designed for Christmas. 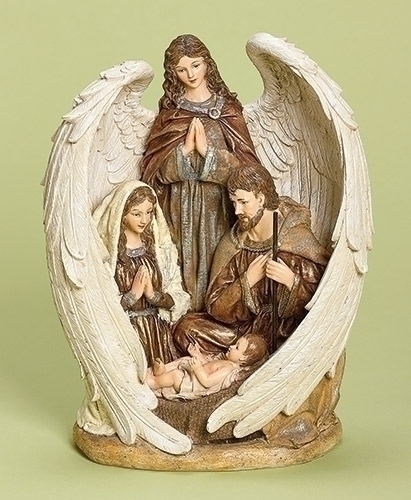 Richly colored and crafted with keen attention to detail, the Holy Family is encircled and protected by the powerful wings of a holy angel. 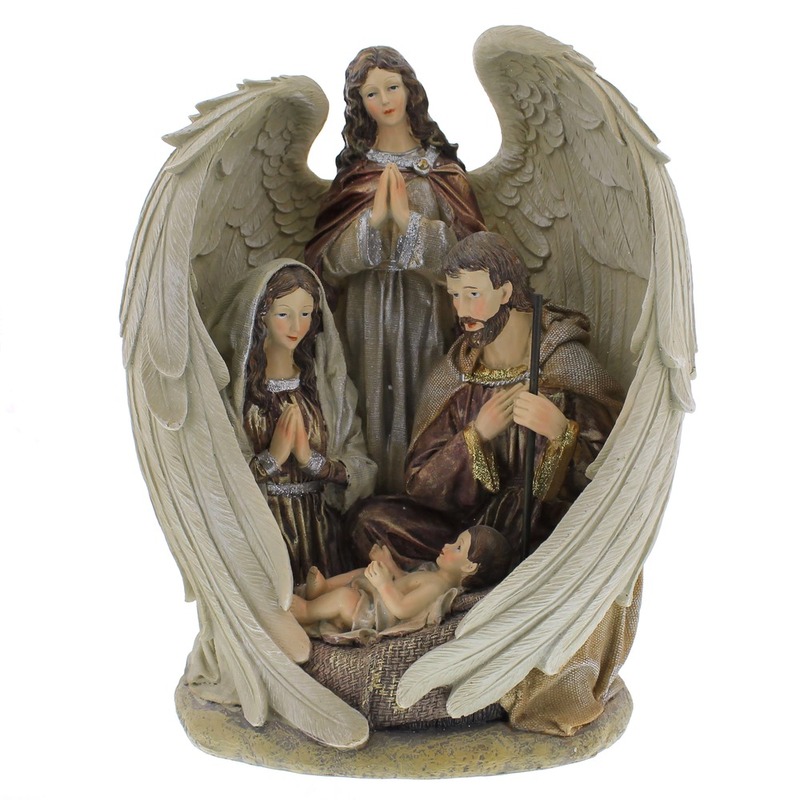 From the texture of the feathered wings, to the adoring faces of Mary and Joseph, this figurine is a lovely decorative piece.